After David became king, he brought the ark "from the house of Abinadab, that was in Gibeah” to Jerusalem (II Sam. 6:1-12). However, for three months the ark rested in David’s hometown of Bethlehem in the house of Obed-Edom. There is a beautiful psalm of David concerning the Ark's removal to Zion. Not many are aware that the Ark rested in David's royal city of Bethlehem. Psalm 132:1-7 makes this clear. The parallelism of "Ephrath" and the "region of Jaar" require that we investigate further. Jaar is spelled Jair in the New Jerusalem Bible (p. 424) and Jaare-oregim in the Hebrew Study Bible (p. 660). The latter means "Jaare the weaver" and II Samuel 21:19 states that Jaare was from Bethlehem. So it appears that the Ark was guarded by the priests of Bethlehem until David was able to have it moved to "the city of David," a 12-acre ridge south of the Temple Mount (II Sam. 5:9). This area was inhabited continuously for 2000 years before David. In place of the "region of Jaar" the King James Version has "we found it in the fields of the wood" and the New Jerusalem Bible has "Forest-Fields" instead of "fields of the wood." Both versions fail to trace Jaar's hometown in Scripture and miss this important clue concerning the Ark's resting place in Bethlehem. The Bethlehem of David and Jesus is probably in Galilee, not on the West Bank. 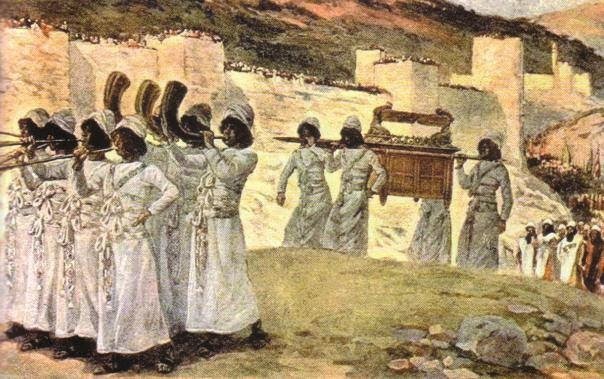 The Ark of the Covenant resting in the place where Jesus was born presents significant Messianic typology similar to Jesus' claim that His Body is the true Temple (John 2:13-22). A biblical fact that is very interesting. My minimalist question is, is the home of Jaar/Jair, the biblical Ephratha - Bethlehem the very same Bethlehem in the present Canaan/Palestine/Israel of today? I'm very intrigued by your writing... and there's a British Methodist woman who has a similarly fascinating take on the 1st and 2nd temple. I wonder whether you've published or presented this material for scholarly review, or considered that path? Certainly deserves a wider hearing. Upcoming meeting between the Pope and EP both reference "the other Bethlehem". 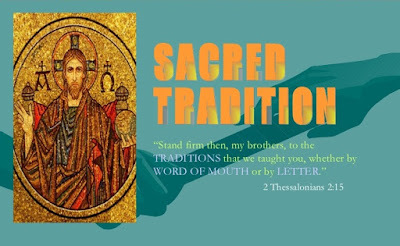 Maybe tradition ultimately trumps or at least substitutes for accuracy? James, It is not a very old tradition. The Bethlehem of the West Bank and the Church of the Nativity enter the Christian tradition in the mid-fourth century AD. Could we also look at this section of the Psalm as a prophecy of the birth of Jesus in Bethlehem? Mary is the Ark resting in Bethlehem. Mary is in Eastern hymnography referred to as 'the ark.' In the Eastern transition from synagogue to Church the ark replica in the synagogue's Torah niche apse was replaced by the "Platytera" image of the Virgin Marys holding Jesus to visually represent her as the Ark, Mercy Seat of the Lord, and the Ladder from heaven to earth (the image goes from the floor and across the ceiling of the apse) by which God took on flesh and became incarnate as the Son. We could, Margaret, and that is an enlightened view. There are significant difference between the Akkadian cuneiform flood epic and the two flood accounts in Genesis. The differences represent distinct cultural contexts. All these Neolithic flood stories come from peoples who lived along major water systems like the Nile Valley and the Tigris-Euphrates. Noah's ark was made of reeds. Sargon (Biblical Nimrod) claimed to be conceived when his mother was overshadowed. This was the expectation concerning the Righteous Ruler who would come of the ruler-priests lines to which Nimrod belonged. Certainly this claim bolstered Nimrod's claim to the throne of his father.